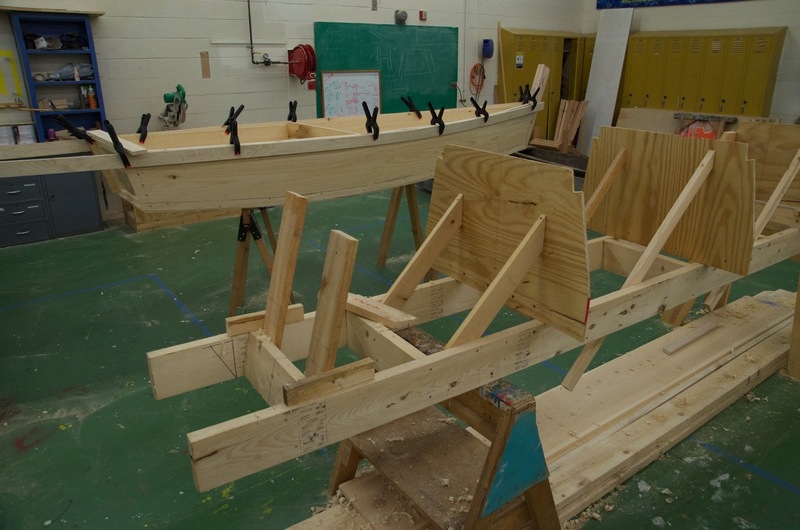 The larger of our two trapping boats finally coming off the moulds. 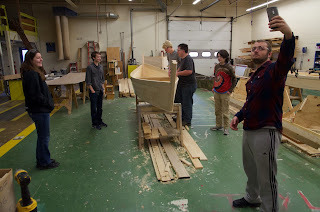 This is the biggest trapping boat I have built with students, though we need to do more research on its use. 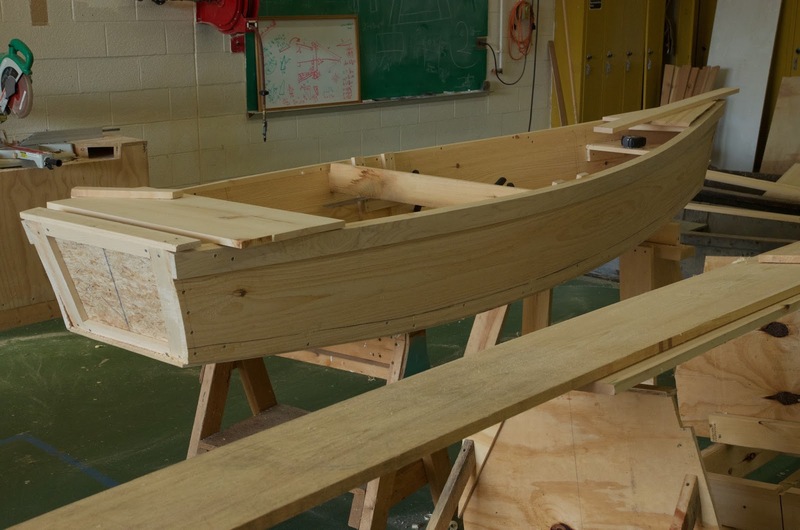 It may be this boat was used primarily for lake fishing. 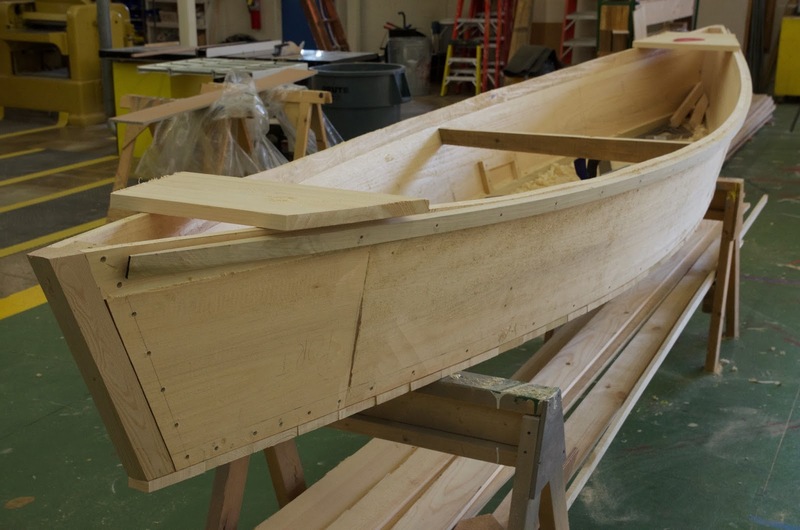 Yet its double-ended shape is similar to most of the trappings boats we have found. 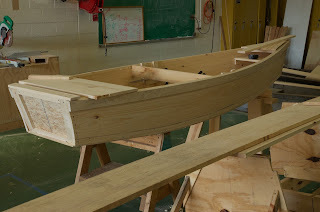 Building this boat took a bit longer because of the cross-planked bottom. 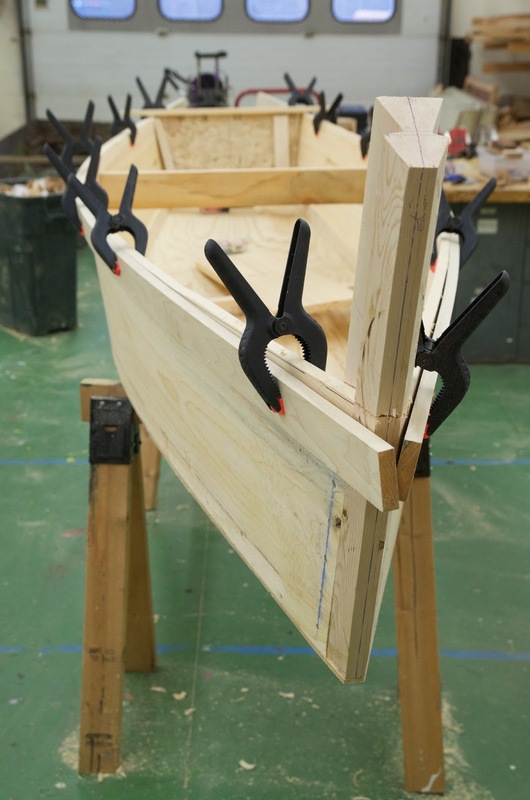 Our other boat has a plywood bottom, the first of its kind we have seen in a trapping boat. 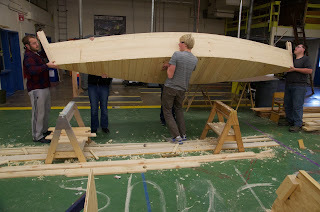 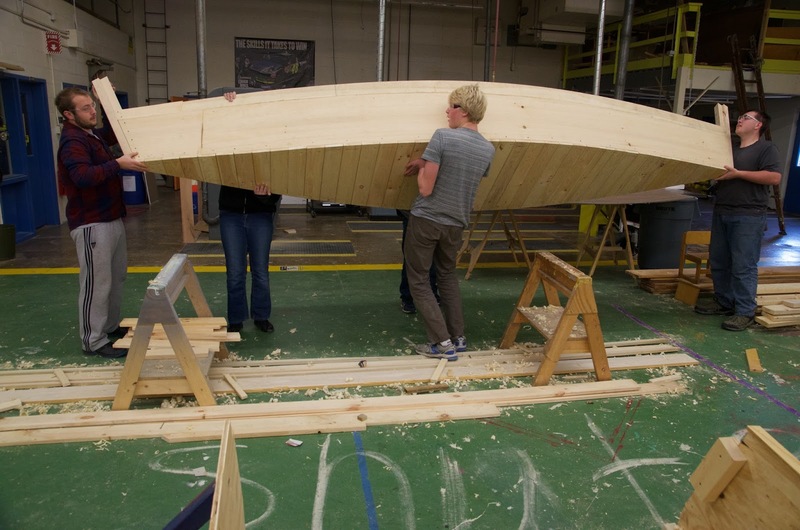 One of the students taking a class selfie with their boat. Our other boat off its moulds. 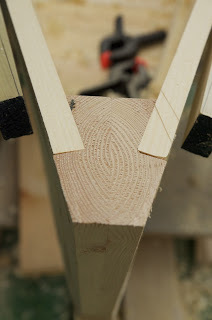 The stem cut off flush at the sheer. 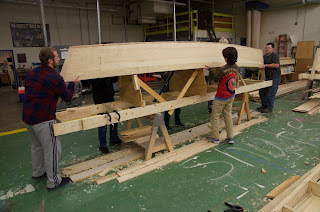 There are a lot of carpenters that are very talented. So many people took part in the work on this project, which suggests that only such a well-coordinated team can create such things.